If you have a copy of OZ 4.2 on a 1M or 512K flash chip running in slot 1 on our 1M Flash card these files (which contains ROMupdate), allows this software to be updated in the Z88 without removing the card. EXPANDED Z88 (a Z88 that has at least a 128K RAM card in Slot 1). All the downloadable files are ZIPped, so you need to unzip them on the main computer to save space on the Z88. The RAM in Slot 2 can be a 512K size instead if a 1M. This operation will remove ALL FILES and APPLICATIONS that you may have on your Z88, so please save any files you wish to keep to your PC before you start. Unzip one of the following files onto your PC. I would suggest saving them into a separate directory. Use Eazylink to transfer the 25 files from the PC to :RAM.1. on the Z88. Do not do anything until the operation has completed. Easy - Send your flash card back to us with a �5.00 note and we will do it for you. Moderately easy - If you have enough RAM to update the application, ROMupdate does this automatically for you. Difficult - All other options require using ROMcombiner which requires some understanding on what to do. After you have done it this way twenty times or so, it gets easier. Why should I upgrade flashstore? Why should I upgrade eazylink? The latest version of FlashStore is significantly better than all previous versions. Interactive file selection of active & delete files in File area. Easy selection of other file cards/areas in other slots. Copy all files from one file area to another file area when using 2 devices. A large number of 'under-the-hood' improvements in program logic and bug fixes. and should now work with the original Mac programs that also used the PCLINK II. (We are still awaiting confirmation). RomUpdate checks itself first (it does a CRC check for the technical minded) before it runs. So if the BBC BASIC file is corrupted it should not run. ROMupdate and ROMcombiner are two BBC BASIC programs that allow you, the Z88 user, to update or blow new applications onto your Flash card(s). ROMupdate needs all the 16K files in RAM before you run it. ROMcombiner is able to blow the 16K files individually. RomUpdate either adds or replaces a single 16K application. Individual applications that are in Application 2005 (or previous versions, even going back to Application 98) for example, can now be updated with ease. With the release of OZ 4.2 (which can either be run in slot 0 (which is where the existing Z88 ROM is) by replacing this with a 512K flash chip, or in slot 1 on our 1M Flash card), ROMupdate allows this software to be updated in the Z88 without removing either the chip or card. This allows users to update their Z88 with this in situ, and even go back to the original version, V3 UK ROM version using the 512K Flash chip in slot 0 if required. ROMupdate runs in RAM and 'currently' requires enough RAM to run the application and store the files to update. To update flashstore for example, this would only require 16K for the application and a bit more to run BBC BASIC and ROMupdate. If on the other hand you want to update OZ 4.2, you need 192K and a bit more for ROMupdate. In reality, this means that unless you have a 512K or a 1M RAM pack you won't have enough RAM. Fortunately the software team knows all about this restriction and they are working on ROMupdate to allow the files to be stored in the file area of the flash chip instead of the RAM. This will allow in the future, Z88s with just a 128K RAM pack to do this upgrade - so watch this space!. ROMcombiner is able to add individual 16K banks to the flash card. This allows Z88 users with only a small amount of RAM to update their external flash card in stages, thereby not requiring the complete application to be stored in RAM at any one time. This is not as easy as using ROMupdate, but is acheivable with a little bit more care. Providing you have the program (eazylink or pclink) as a separate application you can download 2 or 3 banks at a time and build your new copy of OZ with the flash card in slot 3. The important thing to note here is that although you have a copy of Eazylink and Flashstore with OZ 4.2, these are NOT the same copies of the 'stand alone' versions. If you have a spare EPROM pack, you could blow a copy of Eazylink and Flashstore in that first, (using ROMcombiner) so that after you have erased OZ 4.2 from the 1M flash you are still able to fetch files from your PC and save them onto the Flash card if required. Quick example on how to Blow OZ4.2 with files onto a Flash card in slot 3. Unzip both files on the Z88. clicking on the screen logo above. compare that image with the one on your Z88. The image can also be in the help section. 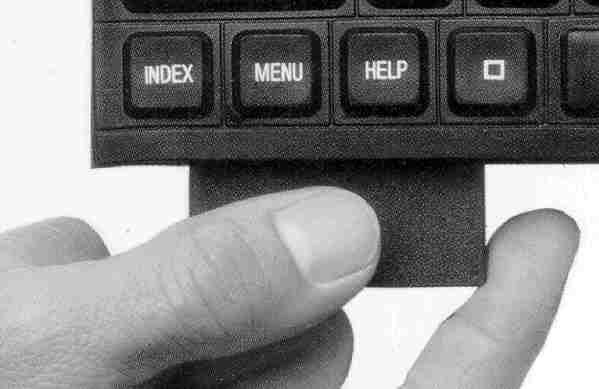 Press the 'HELP' key and scoll up and down the application. You should reach the one you want to compare. Download two files, the RomUpdate and an Application file by clicking on the 'download logo' above. Follow the operation guide below..
Download either of the two programs above and follow the instructions below. Whether you download a single application or a compilation there are several sorts of files supplied in the zipped file that deserve a mention, just in case you wanted to know what they do! Both ROMupdate and ROMcombiner work with 16K length files. The filename used gives the name of the program and the extension is used for its location. Applications reside at the top of the Flash cards or EPROMs. The top number is 63. So valid application filenames would include flashstore.63 or eazylink.63. If they were combined, the filenames might be combined.62 and combined.63. The file area is at the other end of the 1M space, so you would expect to see filearea.2 filearea.1 and filearea.0. ROMcombiner only uses these types of files. Finally there may be a .bin or .epr file. These aren't used by either of these programs. They can be used with the Z88 emulator or an EPROM programmer and are the sum of the 16K length files, all lumped together. ROMupdate or ROMcombiner and the Application or Combination you wish to update from the internet to your computer. on the Z88 with Unzip. Note this cfg file is not used by ROMcombiner. Transfer these files or the zip file to your Z88. RomUpdate updates flash cards in the slot that is specified in the .cfg, so make sure you have the right card there. For applications, this is normally slot 3, whist with OZ 4.2 it is slot 1. There is a picture at the top of each compilation to remind you what you should have in each slot. If you normally use your card in slot 2, make sure you read this. KILL all your SUSPENDED ACTIVITIES in the INDEX by moving the cursor over each suspended activity, and then issue the "<>KILL" command. Start a new copy of BBC BASIC either from the menu or with the B command.- Type the following (and then the ENTER key). You should then see the program replace the application. Click here to see a demonstration on how easy it is and what you should expect to see. Click here for the ROMcombiner manual. RomCombiner only updates flash cards in slot 3, so make sure you have the right card there. Please check that you have the correct card you want to use in slot 3. 256 to erase all of it. select 0 to end this process. Add ziputils, in that order. You can also add more applications if you wish, but bear in mind that the Flash Card can only format in 64K blocks, so adding just a 16K application can waste 48K in the Application area. EPROM filing system. Change that to Yes. Delete source images (Y/N)? Yes (if you are short of space). The first time you run Flashstore J, it will ask you if you want to format the unused section. Yes you do. Otherwise, you can just elect to Blow the completed 'already built' compilation into the Flash card. When you get to Card name, you can go into the Filer with F to remind yourself what the file was called. Just use the filename, do not enter the dot or the numbers. select (R) for Range of banks. You need to start at the lowest number first say .52 leaving the .63 file until last. The number of steps that you do this in depends on both the size of the application and the amount of RAM you have. shut the card flap again. When we ship the Flash card with either OZ 4.2 or on its own, we normally add files to the file area that may be useful. You can also choose whether to have these files in the compilation or not. The files are also available separately, so that you can pick which one to have, if you don't want all of them. So although the following list may look a bit complicated, it only looks that way because of the number of options open to you. If (for example) you just wanted OZ 4.2 without all the other applications, then this is what you can have. The build number of OZ is 3520 The size of the remaining File Area, is 1024K minus the application area. There are several different compilations you can choose to download. Flashstore This is the standard version that we normally ship out with our Flash cards. Eazylink This has all the applications that Flashstore has with the addition of Eazylink. Z88Chess and Zetriz are supplied to use up the extra space. This is similar to the Eazylink compilation above with OZ 4.2, but with no Bootstrap or Z88 Chess. Just in case you want to have a hard time modifying your Z88 by fitting an internal 512K flash chip - this is for you. and this one allows you to return to the orginal v3.0 ROM with the same 512K Flash chip. In the following tables you will see the normal memory configuration with applications that are displayed on the Z88 on the left-hard side. Just choose the one you wish to use, either the individual files if you want to build it up from scratch, or choose one of the compiled files that save you all the bother. Z88 applications in OZ 4.2. Eazylink & Flashstore have been added. Applications cannot be added to OZ 4.2 in slot 0. Put the additional applications onto a separate Flash or ERPOM card. Here are some older versions of the software above, just in case you need to get access to them, or that the versions above do not work. Please let me know if you are having any bother with this section as it has been difficult to put it together so that it easy to use.